Kick off the fall family fun at the farm! Wards Berry Farm, 614 South Main St., Sharon on Saturday, October 5, 2013 at 10 a.m. The Norfolk Community League invites you for a scenic hayride, pumpkin picking, corn maze (new for 2013!) and meeting and feeding some barnyard friends. The picnic area will also be available, whether you choose to pack a snack/lunch or try the market's delicious offerings. Please arrive 15 minutes early so that the hayride can begin promptly at 10 a.m. Cost for the event is $12.00 per NCL member child or $14.00 per non-NCL member child. The price includes the corn maze, hayride and a pumpkin to bring home. Adults not picking pumpkins and children under 12 months are free. Tickets can be purchased via PayPal at www.norfolkcommunityleague.org/events or by check. Please make your check payable to "NCL Family Hayride" and mail to: Norfolk Community League, P.O. Box 450, Norfolk, MA 02056. Please RSVP by Thursday, October 3th. For more information please contact Valerie Cleverdon or Colleen O’Shea at familybased@norfolkcommunityleague.org. Senator Richard Ross was appointed the Ranking Member on the Ways and Means Committee for the remainder of the 2013-2014 Legislative Session by Senate Minority Leader Bruce E. Tarr. Senator Ross will continue to serve as Minority Whip. Since being elected to the Senate, Senator Ross has been a member of the Ways and Means Committee. Senator Ross has been serving as Minority Whip since the 2011-2012 Legislative Session. Prior to that, he was the Assistant Minority Whip. The 35th Annual Fall Fair at Stony Brook is set for Saturday, 10 a.m. to 4 p.m. There will be family friendly crafts, arts, jewelry, hand-made items and much, much more. This is a great time and place to start your holiday shopping. There will also be educational entertainment for the whole family including Marcia Wilson’s Eyes on Owls. Super Cool Beans will be on hand with musical entertainment. Stony Brook has added new games and crafts, as well as some of its popular activities like the Pumpkin Painting, 50/50 raffle, and Cake Walk. As in the past, the Norfolk Lions will be on hand cooking. Face painters, animals and guided walks for those interested in venturing out on the trails will round out the day's offerings. The Fall Fair is Stony Brook's most important fund-raiser. The cost of admission is $4 per adult, $3 per child, with a maximum of $12 for a family. All money raised goes to supporting the Sanctuary and its educational programs. For any questions or directions please call Stony Brook at 508-528-3140. Senator Richard Ross will be hold morning meeting hours in Plainville on Thursday, October 10th from 7:30 a.m.to 8:30 a.m. at Goochie’s Café (23 Messenger Street). The morning meetings will provide constituents with an opportunity to meet with Senator Ross and discuss any matters of importance to them. To register for a meeting, please call the office of Senator Ross at (617) 722-1555 with a preferred time and a brief description of the topics you would like to discuss with Ross. King Philip Youth Lacrosse 2014 Spring Registration nights will be Monday, Sept. 30 and Wednesday, Oct. 9 at the King Philip Middle School cafeteria at 7:30 p.m. There will be a short informational meeting about this year's program followed by registration. These will be the only two nights for registration for the 2013-2014 season. Attendance at one of the two meetings is mandatory. There are many new programs this year to discuss. For more information, please visit www.kplacrosse.org. The KP Parents’ Network 2013 membership drive is now underway. All membership forms and dues returned by November 30 will be automatically entered into the Patriots Fan Dream Raffle. The first place winner and 3 guests will receive a Gillette Stadium Behind-the-Scenes Tour, as well as a gift card to CBS Scene Restaurant. The second place winner will receive a Patriots’ Snow Bowl Collage containing photographs, playing cards, an original program, and autographed photos of past and present Patriots’ players: Tom Brady, Tedy Bruschi, Steve Grogan, Adam Vinatieri, and John Smith. The drawing will be held during Super Bowl 2014, and the Behind-the-Scenes Tour itself will take place soon after. Raffle tickets will be available to the general public at three KP home football games (Sept. 13th, Oct. 4th, and Oct. 25th), as well as at other KP events this fall, or contact us at kpparentnetwork@gmail.com. The more you enter, the more chances you have of winning. The KP Parents’ Network was formed over 20 years ago to improve the link between students, parents and the high school, as well as provide activities and events for KP students. Membership dues help support our activities, and enhance the high school experience for all KP students. Membership forms can be downloaded from our website: kpparentnetwork.org. Responding to the increasing demand for quality live-in childcare, Cultural Care Au Pair has recently added Michelle Gray to its field staff for the Norfolk, Easton & Mansfield, MA area. As a Cultural Care Au Pair local childcare coordinator (LCC), Gray will provide service and support to host families and their au pairs throughout the program year. Gray is part of a nationwide network of more than 600 Cultural Care Au Pair local childcare coordinators dedicated to promoting global understanding through intercultural exchange. Gray will advise area au pairs and their host families on educational opportunities, as well as organize fun activities for the entire extended Cultural Care Au Pair family to enjoy. Gray is a first generation American, raised on Long Island, NY by her German parents. German was spoken in her household and she has maintained close relations with her German relatives by travelling overseas every few years to visit. During her college years, Gray spent a semester abroad and lived with a host family outside of Copenhagen, Denmark. She also traveled extensively throughout Europe. This experience has given her a first-hand sense of international cultural awareness and differences. After graduating from college with a degree in International Business she worked in Accounting for several large corporations including Raytheon, Avery Dennison and Colgate-Palmolive. Michelle has been a stay at home mom, raising her children, for the past 7 years and remains active in the local community. She is the Director for Trinity Episcopal Church’s Youth Choir and volunteers at the Wrentham Senior Center delivering meals to homebound seniors. She also volunteers for an organization called the Fresh Air Fund that matches suburban host families with disadvantaged inner-city youths to give them a week’s summer vacation away from the heat and dangers of city life. Her family has hosted a young boy from the Bronx, NY for the past two summers. 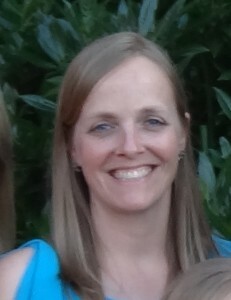 Gray currently lives in Wrentham, MA with her husband and their three children ages 13, 10 and 5. Gray is currently interviewing families who are interested in hosting an au pair. As a community resource on alternative childcare and intercultural exchange, she can be reached at 774-406-6921 to answer any questions. Interested families may also visit her local web site at mgray.aupairnews.com. Cultural Care Au Pair is ag provider of intercultural childcare in the United States. Since 1989, Cultural Care Au Pair has placed more than 85,000 au pairs in welcoming American homes. A U.S. Department of State regulated program, Cultural Care Au Pair is headquartered in Cambridge, MA, with their own extensive network of recruitment, screening and orientation offices worldwide and more than 600 local coordinators across the U.S. For more information about hosting an au pair, visit www.culturalcare.com or call 800-333-6056.